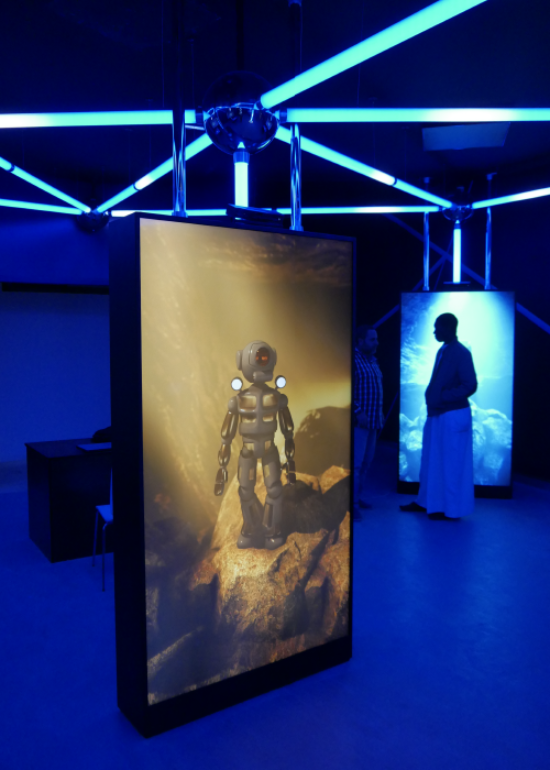 Oasis Exhibition, Saudi Arabia | LED Ltd. 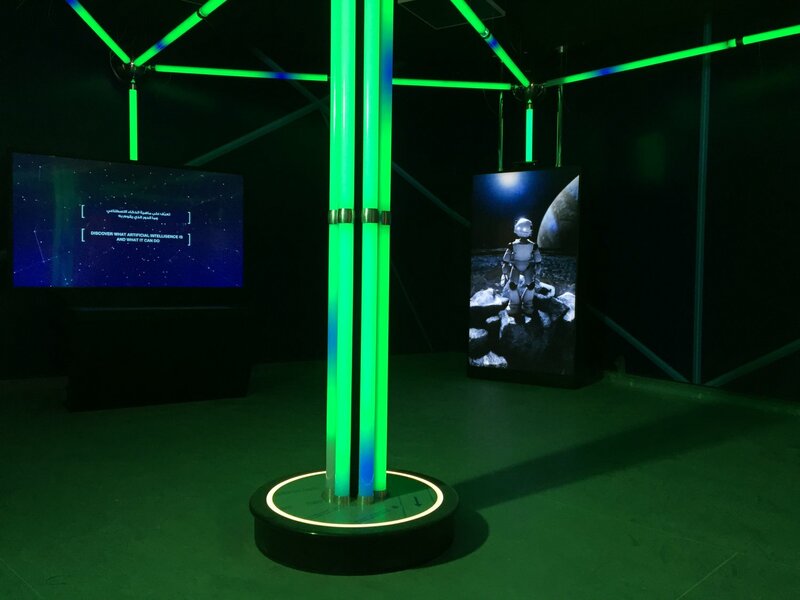 The Oasis Technology Centre consists of 3 main exhibition halls with interactive and immersive audio visual presentations focusing on modern technology. Working closely with Frozen Fish Design, we were asked to help with three different projects within the technology centre. The first project was an 11 metre long trellis structure created from diffused extrusion. After exploring all of our controllable Pixel Tape options with the client, we decided to use our 12v Digital 60 as this would allow them to use a standard Power Supply, but still have the controllability of Pixel Tape. 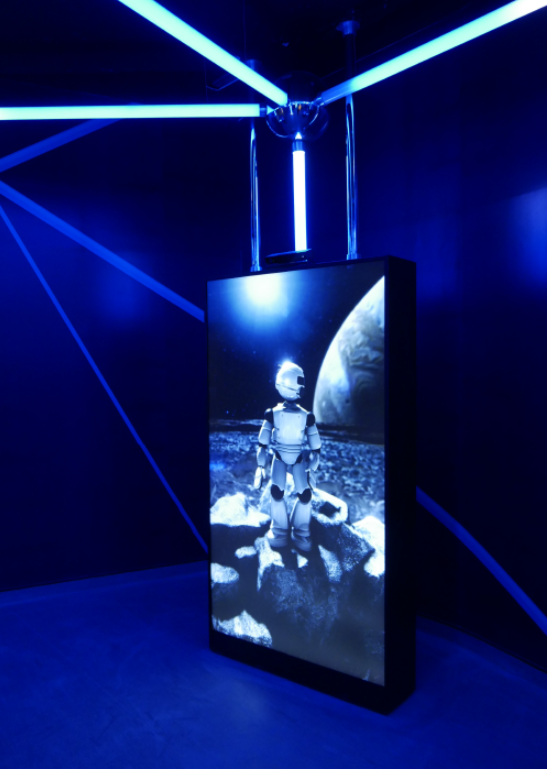 140 metres of tape was used along with our Madrix hardware and software package to create an end result that was perfect for what the designers had envisioned. 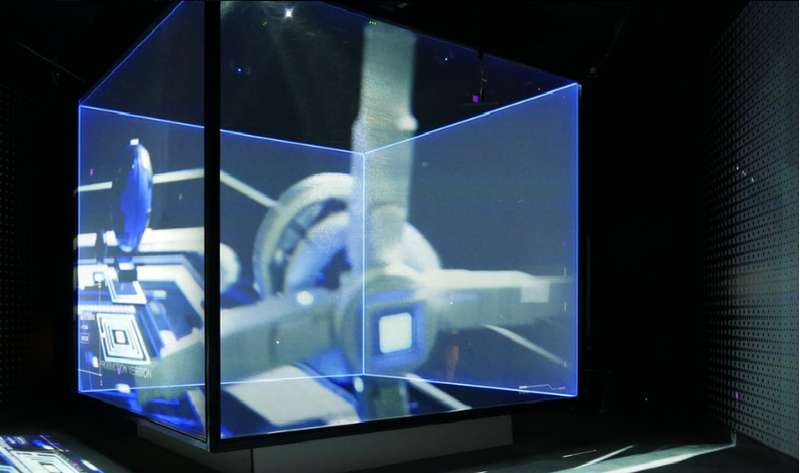 The second part of the project was for a large 3D cube, of which the designers asked for the outer edges to be illuminated. We decided to utilise our popular X-RIBBON RGBW LED Tape as well as our Art-4 DMX controller to achieve this impressive design. 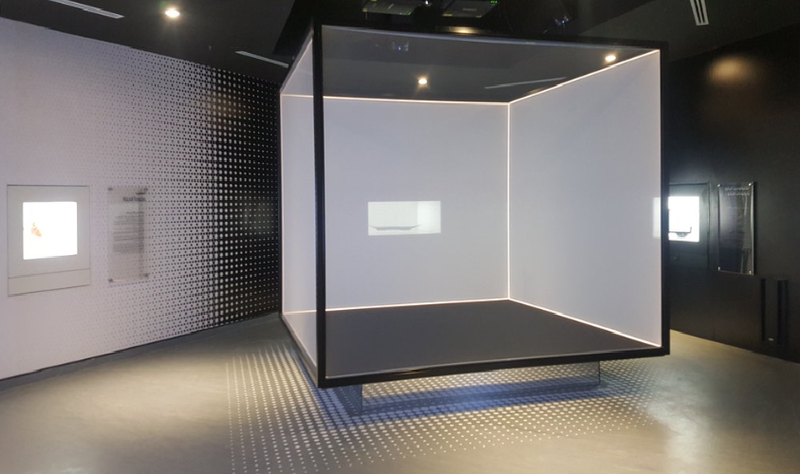 The main projection on the cube was supplied and installed by LT Projects and with both fixtures working seamlessly together, the client was extremely happy with the end result. The final part of the project was for several illuminated 'helix' structures. The client wanted the lighting to be very minimalist and clean, and our HOL CW tape and X-Dimmer 1 achieved this flawlessly. 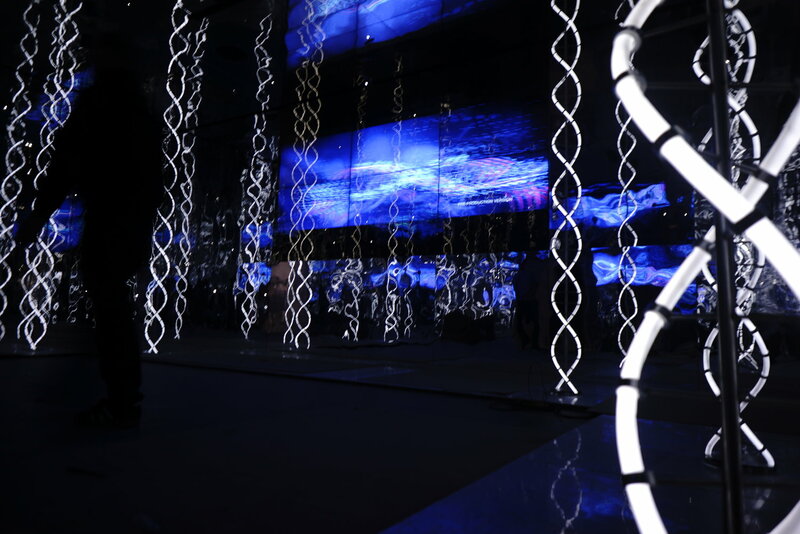 140 Metres of the X-Ribbon Digital 60 was used to create this unique lighting project.